The Greek Spartan Shield There are 3 products. 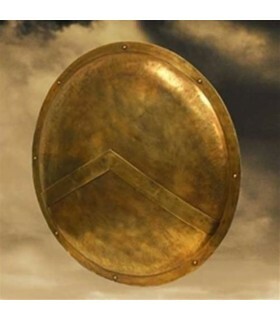 Replica of the shield used by the Hoplites of the State-Cities of Ancient Greece. 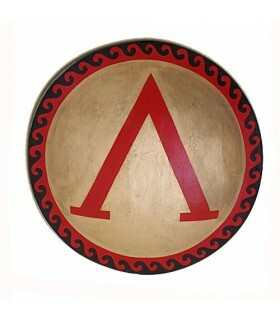 The shield is made of hand-painted plywood. On the back it has leather and rope fasteners. The diameter of the shield is approximately 97 cm. 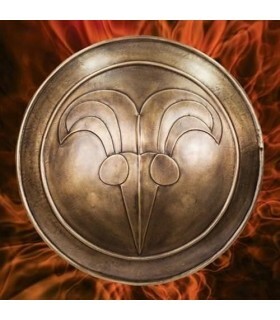 Greek shield Cimerio fully functional. It is made of steel with an antique bronze finish. It comes with two leather straps on the back. It is a faithful reproduction of the shield of Conan the Barbarian.